By Hazel Chua on 11/27/14 • Leave a comment! The Melting Toht candle looks like your regular old candle-in-the-shape-of-a-man-with-his-mouth-open candle at first glance. But light it up and you’ll see that it will slowly transform into Gestapo agent Toht from Raiders of the Lost Arc from that unforgettable scene towards the end of the movie. By Hazel Chua on 11/17/14 • Leave a comment! Wake up to the smell of burritos wafting through your flat. 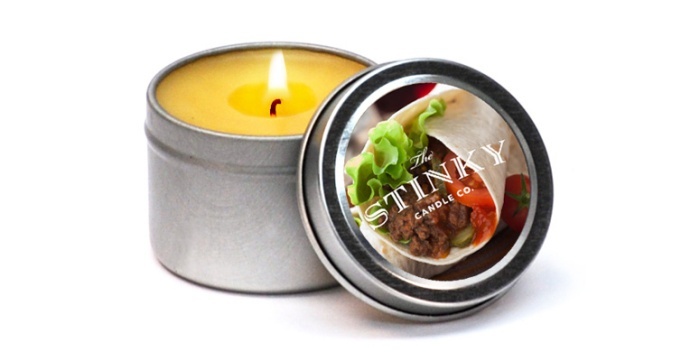 The scent of ground beef with choice spices like cilantro, cumin, and cayenne, with hints of salsa and guacamole here and there is what you should expect when you light one of these burrito-scented candles from the Stinky Candle Co. Sounds dreamy, smells even dreamier, except for those who aren’t a fan of Mexican food. It’s best to steer clear of ’em when you’re on a diet, though. The candles are available online for $9.99. With these ghastly candles, you’ll be able to hit two birds with one stone. First of all, they’re candles, so when the power’s out, just light ’em up for some much-needed illumination. Second of all, the design is just perfect for Halloween: bloody zombies with bulging eyes and disfigured faces that ups the creepy factor at your place. 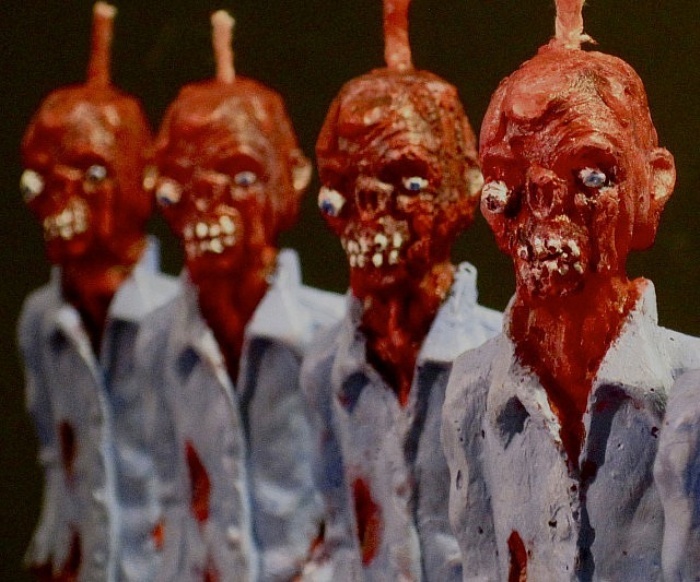 And as they melt–boy, oh boy, they’ll look even creepier than they already are. The candles are handmade and you can get them from Stexe’s Etsy shop for $15 each. Creepy doesn’t come cheap. When they’re unlit, these gummi bear candles look adorable, but we wouldn’t recommend giving them to a child unless you want to give them nightmares. When the flame’s a-burning, the colorful wax melts to reveal the bear’s ghastly skeleton. It’ll take some time before the entire skeleton is revealed though, as the 3-pound candle can burn for approximately a hundred hours. 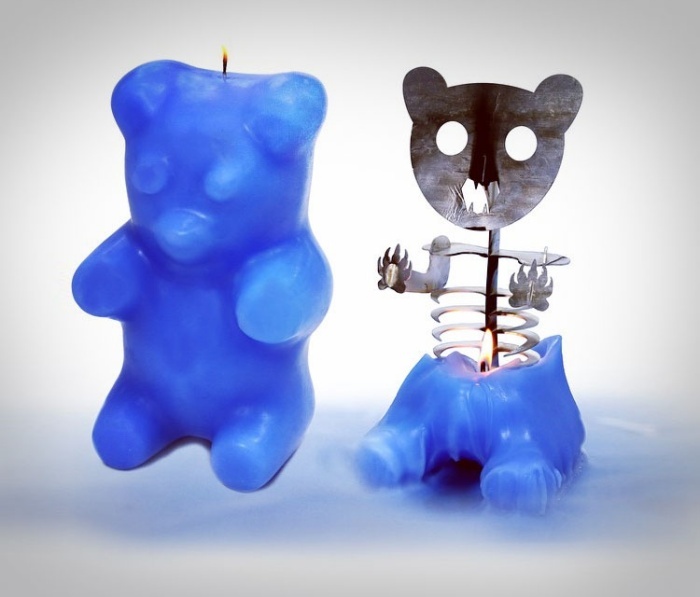 The Gummi Bear Skeleton candle will be available in a variety of colors once its Kickstarter campaign draws to an end. Want one of your very own? Pledge at least $40 and you’ll have it shipped sometime this November. Pelty is literally the hottest thing to happen to speakers since, well, ever. We say “literally” because it runs purely on firepower provided by a lone candle burning from within. Its design is sleek and simple but eye-catching all the same. Pelty hooks up with your smartphone or music player via Bluetooth and uses absolutely no electricity to play your choice tunes. 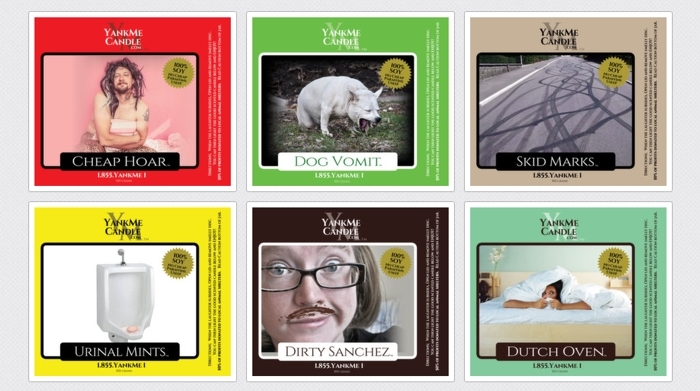 YankMe Candles Bring Disgusting Scents Like ‘Dutch Oven’ to Your Home–Well, Sort Of! By Hazel Chua on 06/05/14 • Leave a comment! Can you imagine lighting up a candle that smells like urinal mints or skid marks? What about dutch oven and dog vomit-scented candles? Not very appealing, are they? These are exactly what the labels of YankMe Candles say, and those are the scents that’ll hit you the moment you open the lid. Who in their right mind would buy candles with such unpleasant scents? Nobody, obviously. YankMe knows that, and they’re only yanking your chain because the candles don’t really smell like what their labels claim once you burn them. There’s actually smelly disc on the inside that’s emanating the stink of urinals and farts, but once you get that out of the way, you’ll be treated to soothing scents that you’d expect from a regular ol’ candle. The candles retail for $14.99 each. By Hazel Chua on 01/06/14 • Leave a comment! 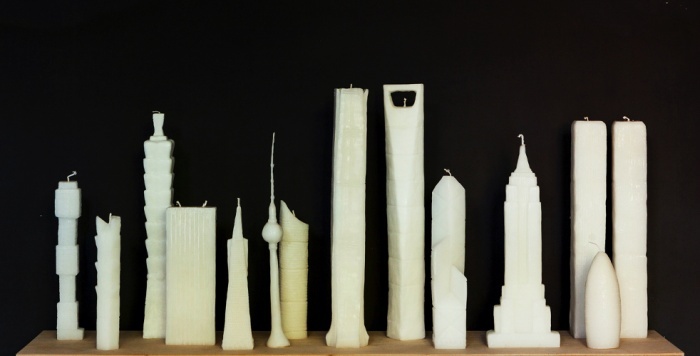 You won’t want to light these skyscraper candles if you have other plain candles left in the house for obvious reasons. They’ll light up your room if the electricity goes out, but they double as unusual works of art when the lights are on. These candles, which were thought up by Jing Jing Naihan Li, were on display at the Beijing Design Week last year. 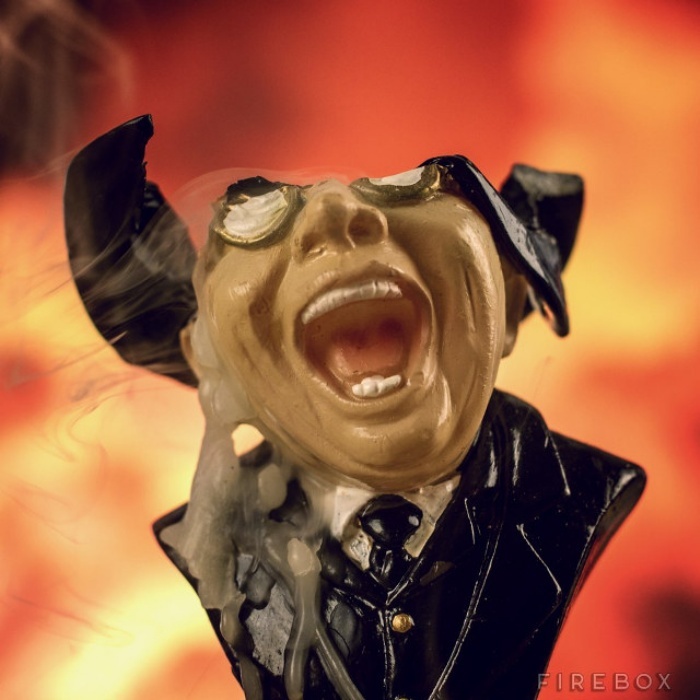 Now they’re available online so you can display them in your home or “burn down” the metropolis when the mood strikes. Each candle is sold separately starting at $39. Definitely pricey for a candle, but then again, they aren’t your typical candles with each measuring about 40cm in height. 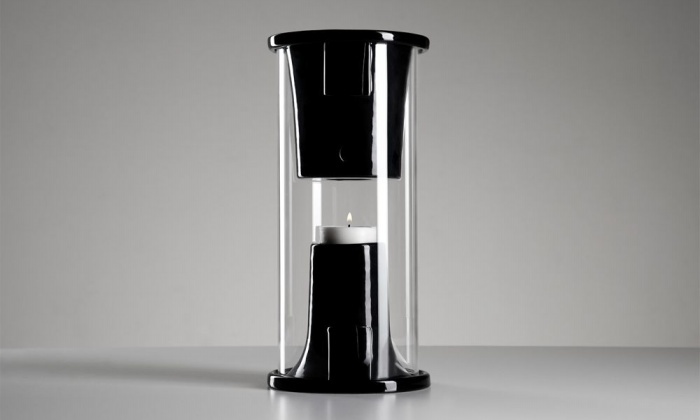 Close your eyes and take a whiff of the scent that emanates from the Two Stroke Smoke candle. Memories of hours spent riding a motorbike out in the country or weaving a snowmobile on the slopes will eventually come to mind. The smell of Blendzall Racing Castor 2 stroke oil isn’t the most pleasant scent in the world (frankly, it stinks) but the memories it conjures up are just all too precious. If you feel nostalgic and are missing the good old days, then light one of these up and immerse yourself in the distinct high-octane fragrance of these candles. Super awesome custom blended candle by Maplewood’s very own Maven. It’s made with real live Blendzall Racing Castor 2 stroke oil with high-octane fragrance. 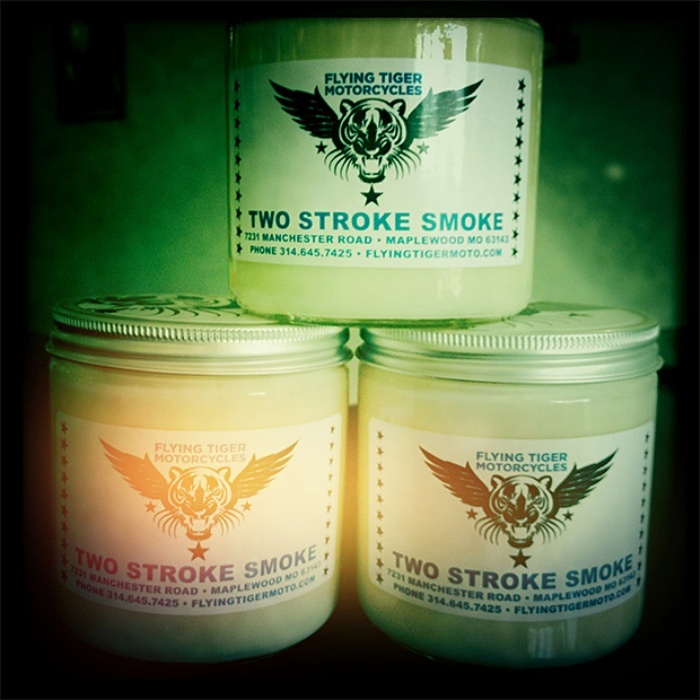 The Two Stroke Smoke candle is available for $20. By Hazel Chua on 12/06/12 • Leave a comment! The countdown to Christmas continues. We’ve looked at Christmas trees and ornaments and even houses that exuded the holiday vibe in their own little way. 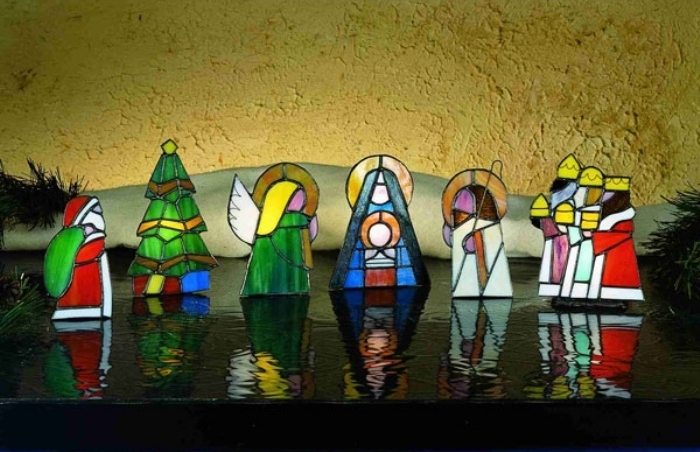 But one thing we haven’t covered yet is the nativity scene, which captures the true meaning and essence of Christmas. As a kid, my mom and I would do some crafts and use recycled materials to recreate the scene so we could display it at the foot of our tree. That tradition slowly died out as I grew up, but it’s a tradition that’s waiting to be restarted with the birth of my beautiful niece. Until then, we’ve had to make do with alternatives that didn’t require as much effort (since all we had to do was buy them), like this exquisitely-made miniature Christmas candle holder set. It’s a different take to the usual scene, and for two very obvious reasons. Can you spot the nots?